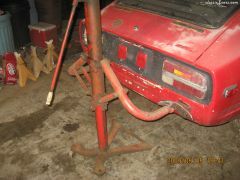 240Z " the long way to new again"
I am MODIFYING my 1970 240Z # HLS30-20348. Serise 1. It was modifyed to the point of not being ecanomical to restore and I just like to put my personal touch on everything I do. The gas door lock is on the gas door not on the cap. it looks to be a factory install. On my '71 the gas door has a twist latch and not a lock. I have seen this type of lock on other Zs as well as other Datsuns such as my 810. 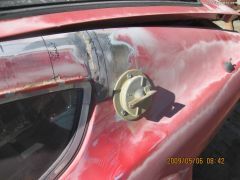 I just do not want to have to damage the gas door to get into the cap when I have to take the damaged tank out. Thanks Steve you have probibly saved me a lot of junk yard shopping. I will have to tear into the doors and find the master drum. As to the Ing lock I guess that I may have to buy one if I can find one. Or pray that the orignal owner can find the keys as he said he would try to. I think that I need some help here. I just got a '70 240z with a locking gas cap as well as Ing,doors hatch and glove box locks and no keys, I was thinking that the keys were the same style as my other cars. 1) 1977 810 Dubble sidded single key. 2) 1976 280z dubble sidded single key. 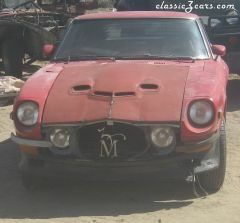 3) 1971/2 240z ? (no key) which keys do I need to find for my 1970 24oz HLS30-20387 and dose anyone know the year/month of that vin? 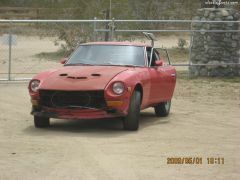 I got this car in a storage deal, I have to give the motor & trans back but get to keep the body. I sure wish that my '71 looked that good. Leather seats, not stock. and there are no cracks in the dash. Has this car ever been in the sun? Nisson started production of the Skyline in 1968 (I think) it was imported into the USA in '69 for one year. It came equiped with a 2000cc dule ohc cross flow head with three Hatachi twin draft carbs (copies of Delortos) and tube headers. Also standered equipment was a five speed, Posi, Full cage,Bolt down seats, full Harness restraints, and plenty of power. The Z was cheeper by about $2000.00 so it sold better. 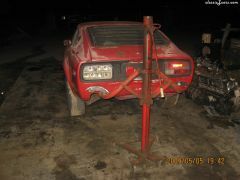 The car is still being built in Japan and is now 4 wheel drive, 4 wheel steer, anti lock ect and turbo charged. The R380 engin was also sold in the DOM (Japan) Z432 in 1969-1975 or 76(the books that I have are in Japanise and I do not read it so it is hard for me to get all the information. but I wish that the Skyline were imported to the US also. At least I would like to find one of the motors.